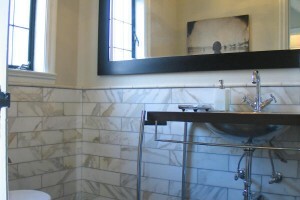 Bathroom remodels are by far the most popular projects we’ve built in the Greater Indianapolis area. They are also the most demanding. 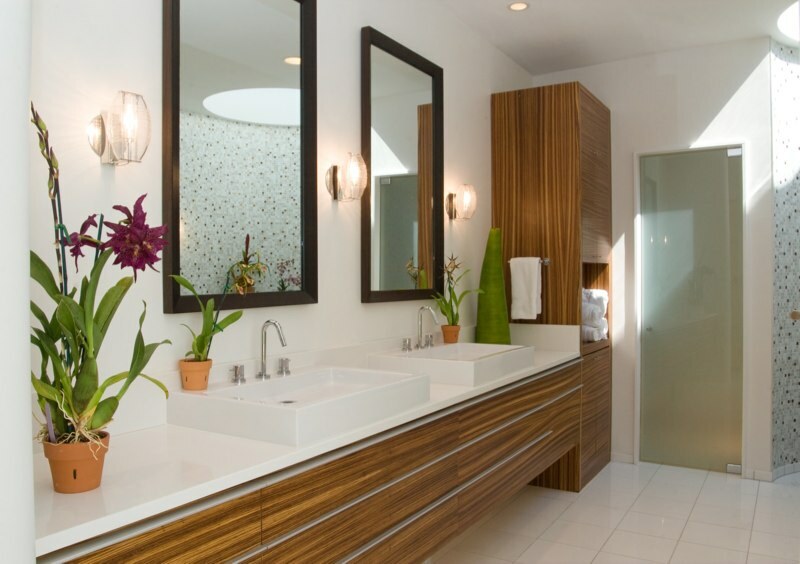 There is no more harsh environment in your home than the bathroom and they must be built to withstand extremes of temperature, humidity and hard daily use. 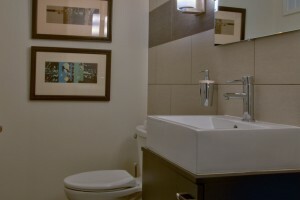 At the same time, the bath is a space where you’ll spend a great deal of time each and every day. 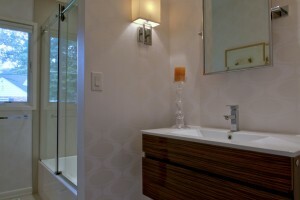 So the choice of bath design and finish becomes an important statement of your personality and taste. 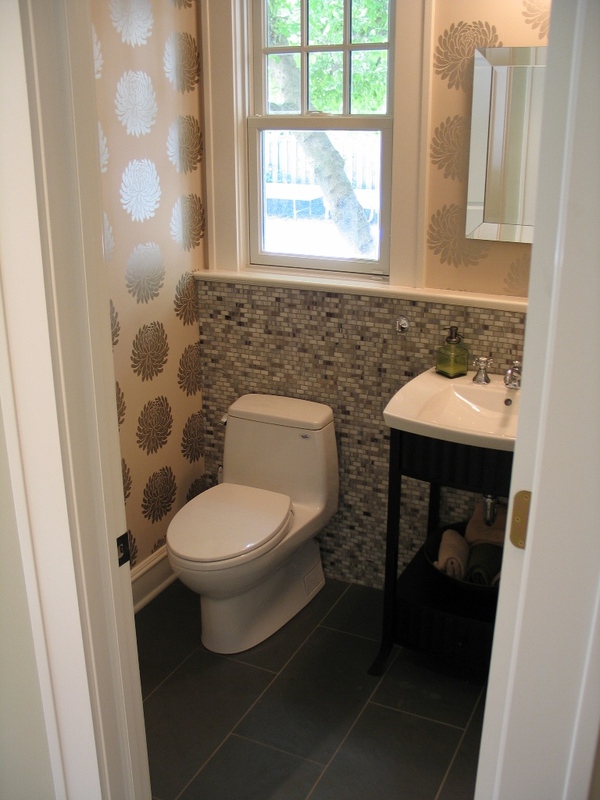 Half bathroom renovations (sometimes called “powder bathroom”) are typically main level or lower level spaces that serve not only your own family, but guests as well. 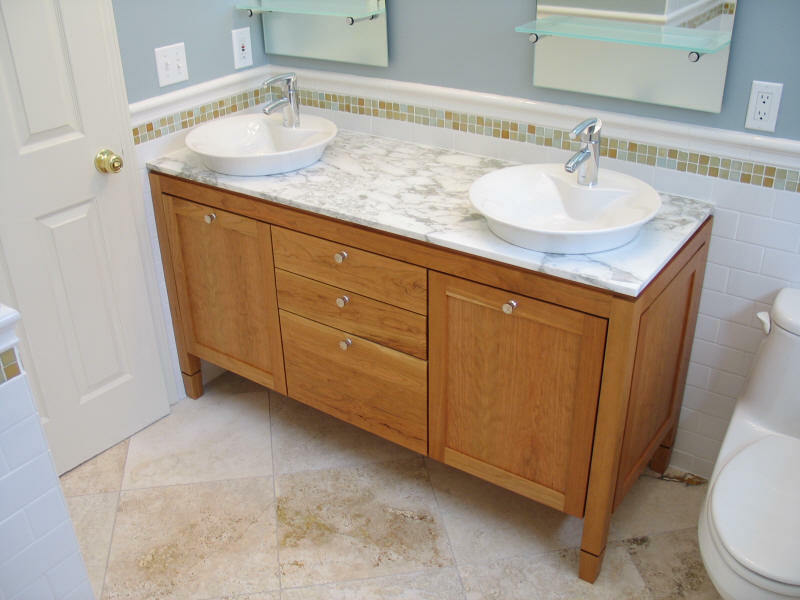 Many times these projects are “face-lifts” that involve finish upgrades (a half bath remodel to replace floor coverings, vanity, toilet, lighting, etc.) and not full gut renovations. 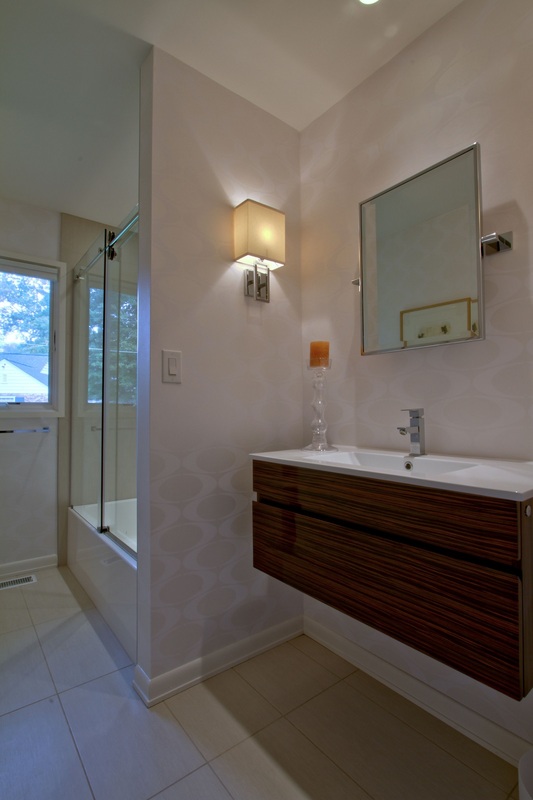 But half bath renovations are also often included in our kitchen renovations, additions, and main level remodels where we design and build them from scratch. The number one motivator for these renovations: LEAKS! 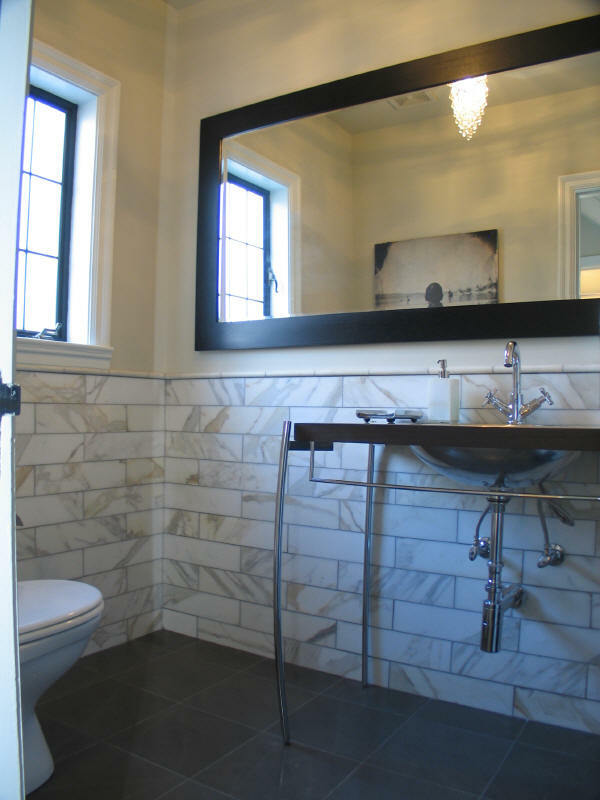 Whether your bath is leaking like a sieve or just looks ugly and dated, you’ll find lots of design ideas for your renovation in our portfolio. We’ve built dozens of baths of every shape, size, and style. 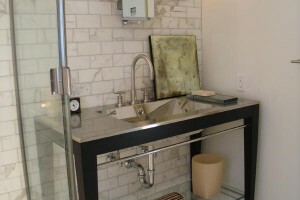 Sometimes these spaces are sound enough for a “facelift” renovation. More often than not they need “a whole lotta love”—and that usually comes in the form of a complete gut renovation. Got bulkheads? 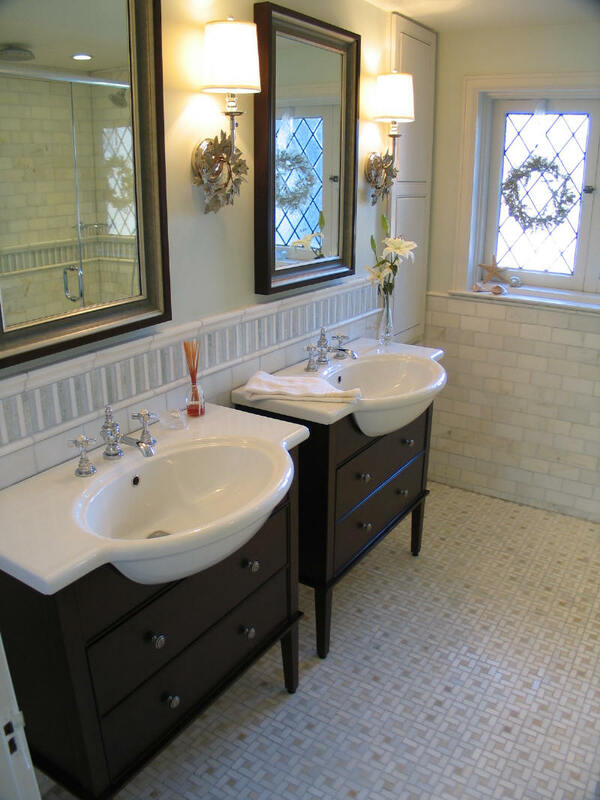 We tear them out in a very large percentage of our bathroom remodeling projects to create a larger sense of space in your bath. Corner closet taking up valuable room? 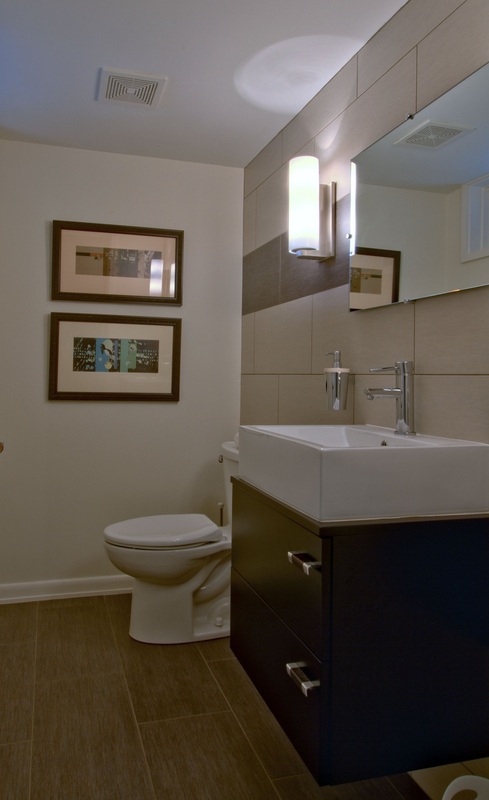 We’ve torn them out of a number of bathrooms in favor of open layouts and more compact, efficient storage solutions. 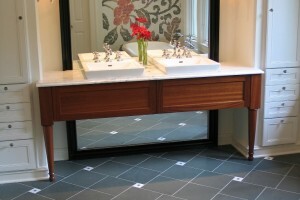 Is it time your master bath had an update? 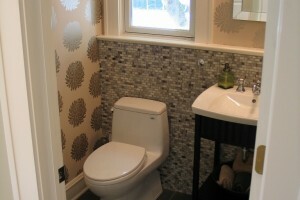 Do you love your home, but hate the daily experience of getting ready in an ugly, dated space? Tired of settling for a less than satisfying shower every morning? The Master suite/master bath remodel is one of our signature projects—and second only to the kitchen in its ability to transform the quality of your daily life. 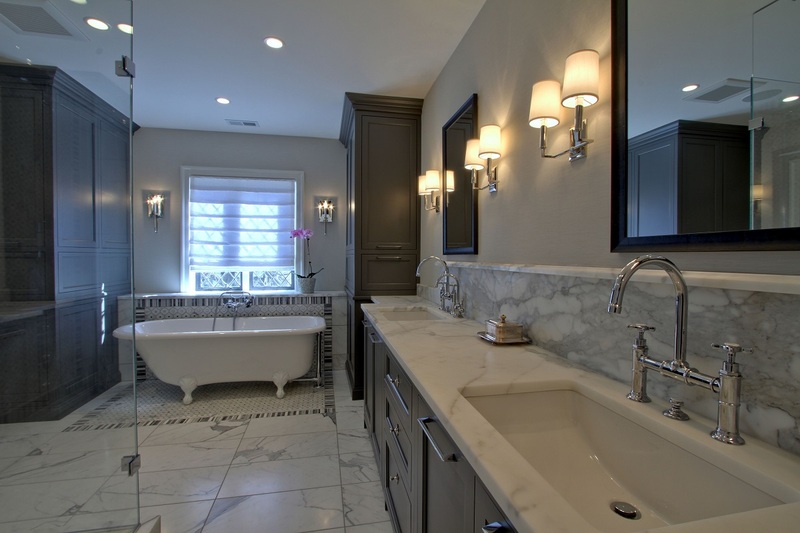 Do your tastes run toward sleek and modern bath design, elegant traditional, or somewhere in between? 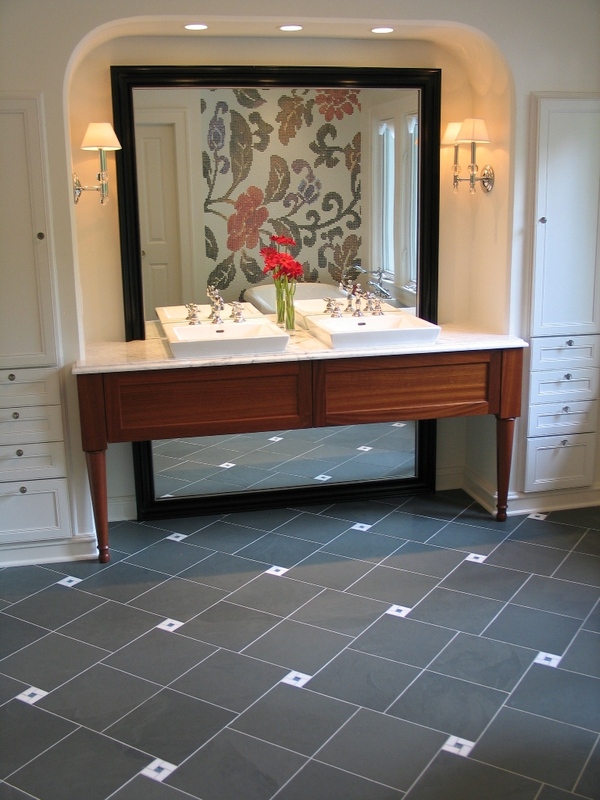 No matter what your individual needs, our talented design partners and award winning craftsmen can turn your master bath into a daily joy to live in. 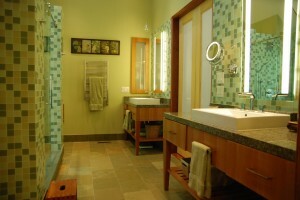 Bathroom Tubs and Spa Tubs – Relax. Retreat. Unwind. We don’t do clichés—and not every master bath HAS to have a tub. But if you do enjoy retreating to a nice long soak at the end of the day, we’ll help you pick just the right vessel. 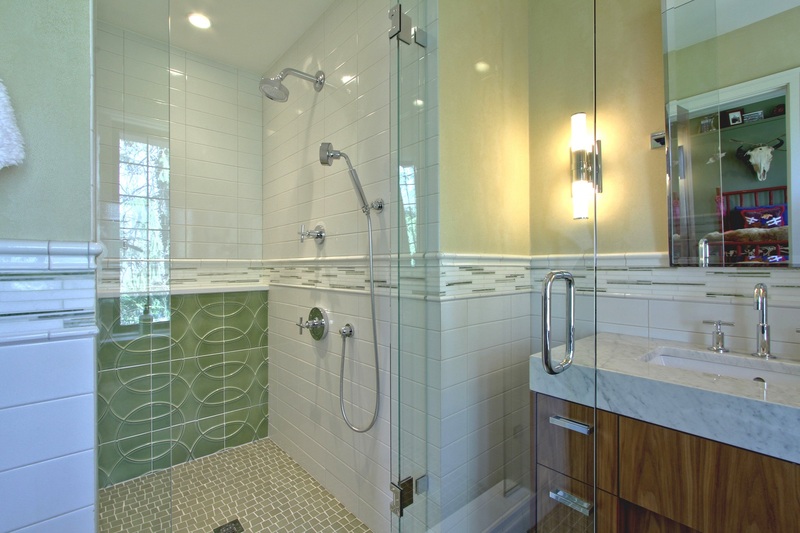 If you can dream of it in a shower, chances are we’ve built it before. That experience brought to bear on your project means you’ll enjoy a shower experience tailor made to your individual desires. 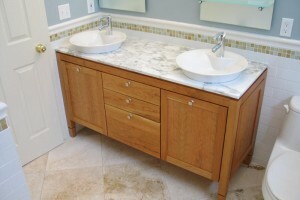 Bathroom Vanities as Furniture – Room for Two? Vanity choices have come a long way over the last decade. 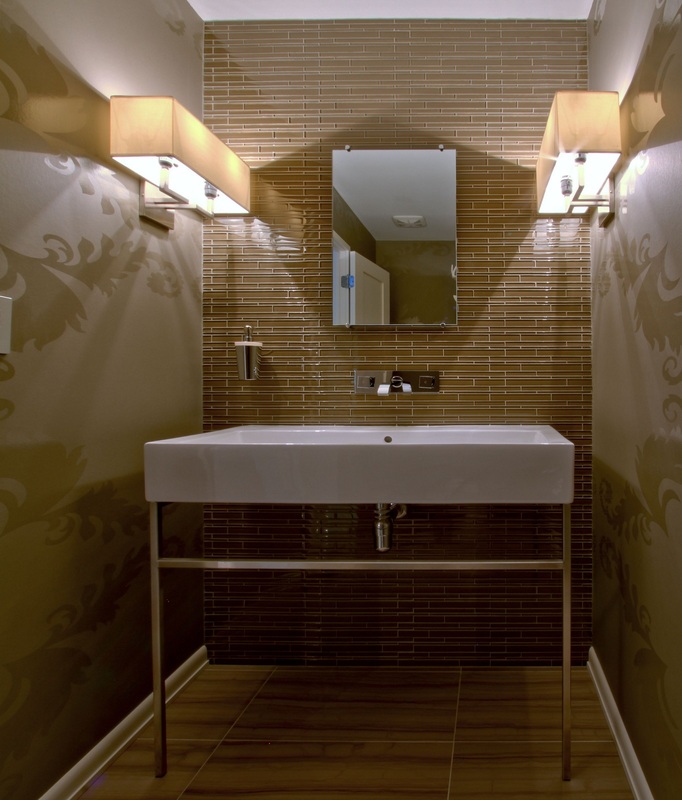 Our bathroom design partners have specified everything from pre-packaged, stock options to completely custom solutions with exotic veneers and high end accessories. When budget is a concern, a high end aesthetic can often be achieved in your bath with a combination of stock finishes and selective custom accents. 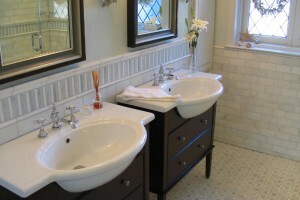 What Will My Bathroom Remodeling Project Cost? 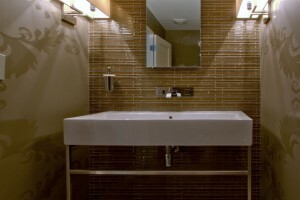 By their nature, bathroom renovations can have large variations in cost because of the variety of finishes and mechanical systems that go into them. For that reason, establishing a budget is an important first step to planning your renovation. From planning and design, to materials selections, to your amazing new bath–we’ll help you navigate the infinite choices and decisions to find just the right balance of form, function & budget. 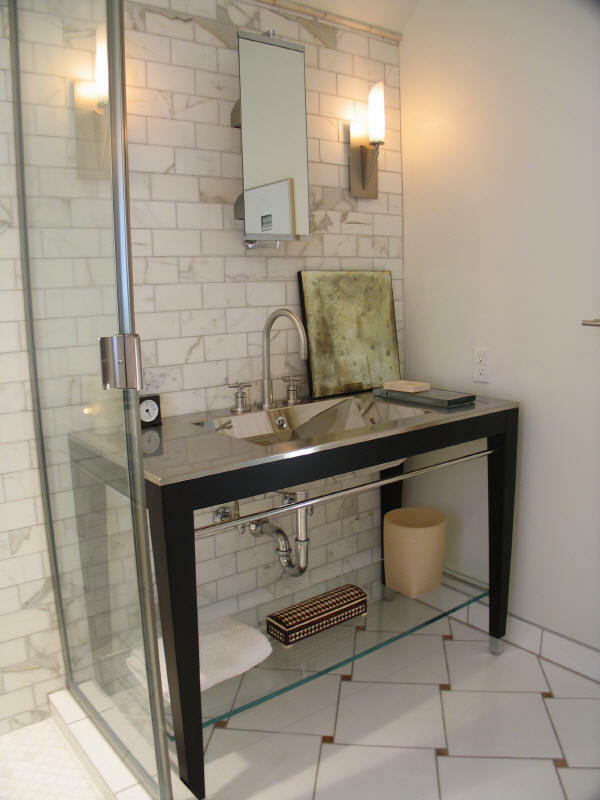 If you’re ready to start planning your bathroom renovation, take the first step and give us a call or fill out our contact form. Just click on the link below and we’ll take it from there. We look forward to serving you and your bath!